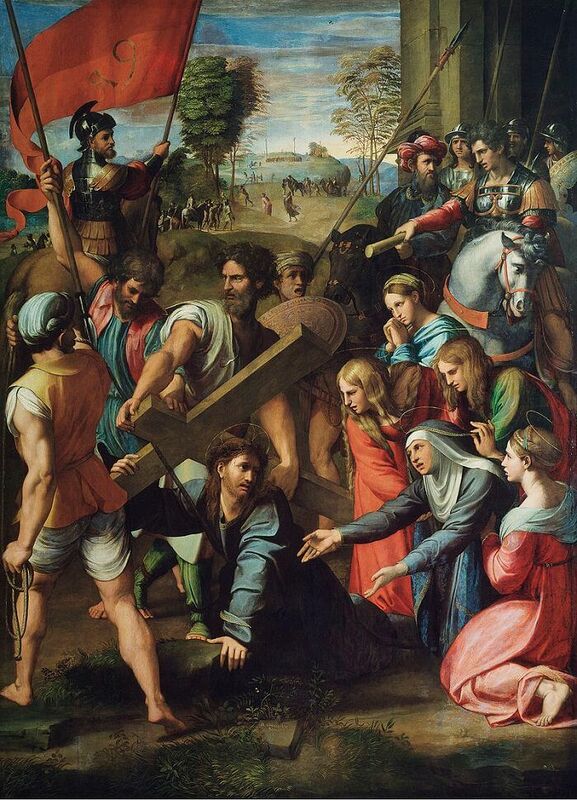 It shows the common subject of Christ Carrying the Cross to his crucifixion, at the moment when he fell and his mother suffers a spasm of agony, the Swoon of the Virgin, or "Lo Spasimo". 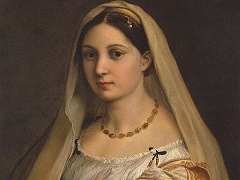 All the emotion of the painting is densely crammed into the foreground and the background is similar to that of a stage set with distant groups of people and crosses. 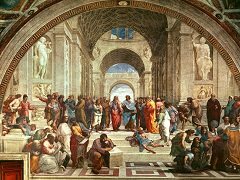 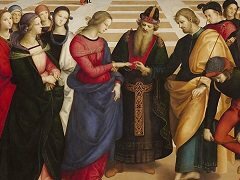 The man on the left in the foreground is similar to a figure in Raphael's painting "The Judgement of Solomon" in the Raphael Rooms in the Vatican Palace, except reversed. 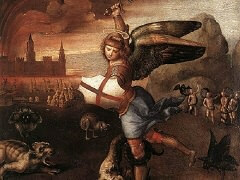 In Italian art, the Carrying of the Cross was usually relegated to a predclla, where the compositional framework inevitably had a horizontal orientation. 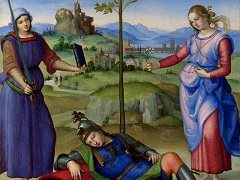 Because of the increased importance of the subject and the painting's function as an altarpiece, Raphael constructed the composition vertically, and so departed from the traditional rendering of the subject. 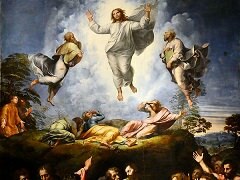 Christ is portrayed as pausing as he moves out of the pictorial space to the left; the path he will soon take can be seen bending back into the picture, finally leading to the hill where two crosses are already set up in the central distance. 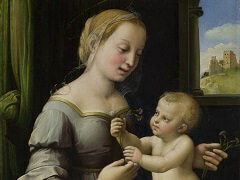 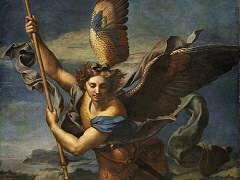 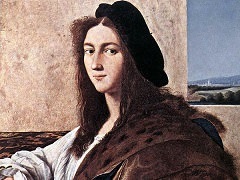 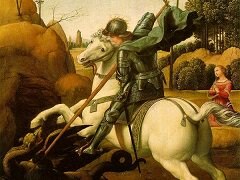 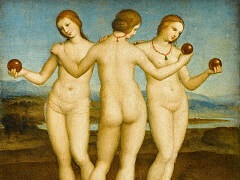 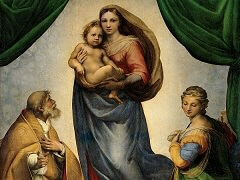 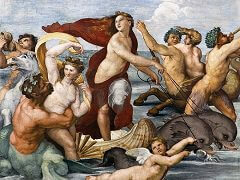 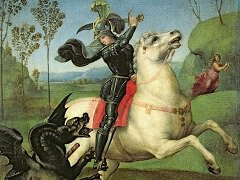 The painting was executed in large measure by Raphael himself and is among the most adventuresome of his entire career.